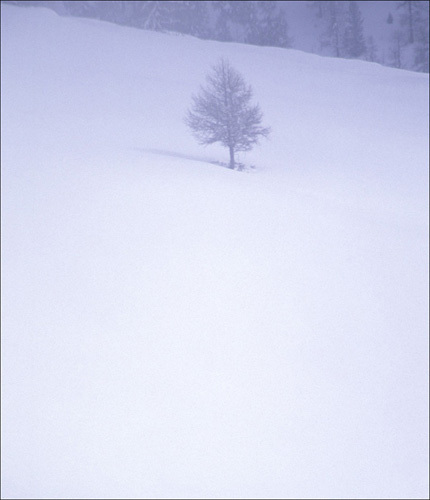 Ron and Maggie Tear Photography: Lone Tree, Swiss Alps. Taken on one of our many walks in the Swiss Alps. The paths were cleared within a day of snowfall. We were able to walk over 20 km in these conditions. At a hieght of 14000ft it was exhilerating.